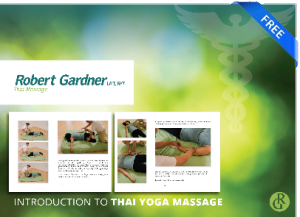 My learning yoga, practicing Thai massage and working with cranial sacral therapy all ran together. I’d delve deeply into breathing exercises and noticed that I could make my hands warm. I didn’t know why but clients seemed to like it when I worked on them so I would purposefully breathe deeply and do so. Once performing chair massage a woman was startled because she said my hands were so warm. My then boss, also a massage therapist looked at me, one eyebrow cocked, knowing I was doing something but unable to figure out what the weird kid was up to. I kept my secret, explaining things even I don’t understand gets tiresome. My response wasn’t a mock. I was just free floating. The mental state that came with this deep breathing was an acceptance of whatever floats through your mind. Don’t attach, just let the movie play out. My friends fortunately have grown used to occasionally odd behaviour from me due to my practice and eccentricities. I sat on the floor. As I sat conversation flowed and someone mentioned I was a massage therapist to some of those friends of friends who were unaware. A beautiful young lady, a friends girlfriend, jumped up from her seat and in front of everyone, without a pause, lay on the ground at my feet asking me to massage her. It’s all a practice right? She looked at me confused but I assured her and after she turned over I moved down to her feet. Knowing my friends were watching I just tuned into her. I placed one hand on the outside of her foot and the other on the other side making no physical contact. I’d probably been taking 3 breaths a minute for the past half hour. I was other. I honed in, listened, again, without physical contact. I settled and breathed and when all felt like it’d synced, I breathed, channeled whatever was in me and flicked my fingertips in the slightest most imperceptible way. She immediately interrupted, “I can feel that running up my legs!” I still hadn’t layed a hand on her. Placing my hands on her feet I listened to her cranial rhythm for a few minutes then stopped. At this point I’d sat up and returned to the party like nothing happened. The rest of the evening she kept asking me what I’d done. Where had I learned it? I just shrugged. I still do. To my friends and close associates she just became the girl I radiated on. There are many mysteries to the body, one need only to sit and listen deeply to be able to hear what they’re saying.